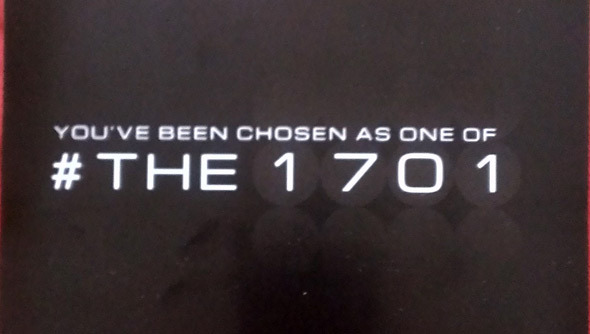 "You've been chosen as one of #THE1701." Following up the Are You the 1701 Trek viral launch last week, prizes have been arriving to fans today. I received a number of emails containing photos and details on packages that fans have received stating they're one of the 1701 winners. Last week a viral site called Are You the 1701? made by Paramount for Star Trek Into Darkness launched requesting Instagrams or Vines of anything Trek or "future" related, with $2 prize packs to be sent to 1701 winners. 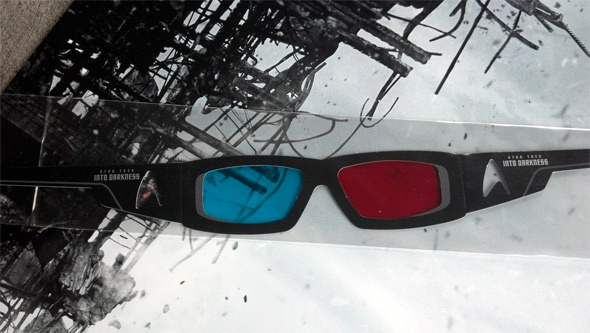 The packs include an "exclusive" poster, 3D glasses and a note linking to a 3D trailer out at noon tomorrow. Check these out. Thanks to readers Anthony and Micah for sending photos of the prizes they received. The poster has a small sticker at the bottom saying "Exclusive 1701 Edition", with the anaglyph red/blue 3D glasses and the note. 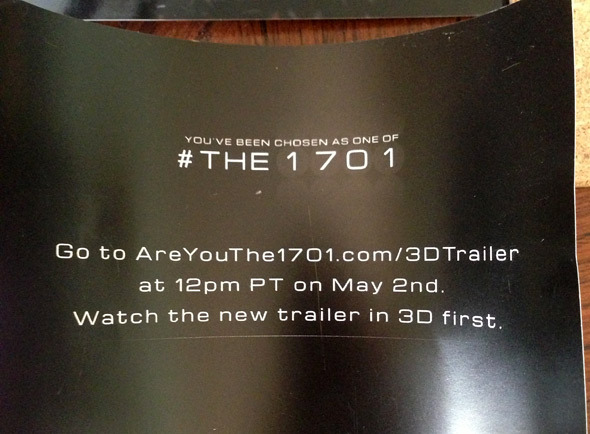 This is the note that contains the pertinent time and URL, which points to: areyouthe1701.com/3Dtrailer. From the sounds of it, a "new trailer" will arrive in 3D at 12PM PT on Thursday, May 2nd. At least, 3D as in anaglyph 3D, so if you have your own pair of red/blue cardboard glasses you can probably watch, too. We're not sure if it will contain any other footage not seen in the 20 TV spots or 5 trailers so far, with only a few weeks before release. But it is cool to see there's a payoff at the end of all this Trekkin. At least we'll see.